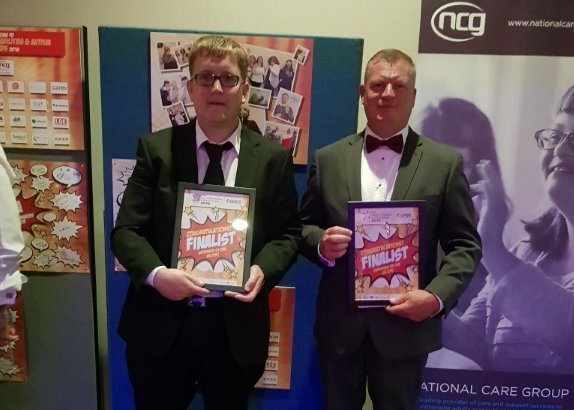 Autism Awards 2018 and the nomination was accepted. working there and the staff that support them. ICC for the nomination interviews. sights and enjoying the trip down on the train. 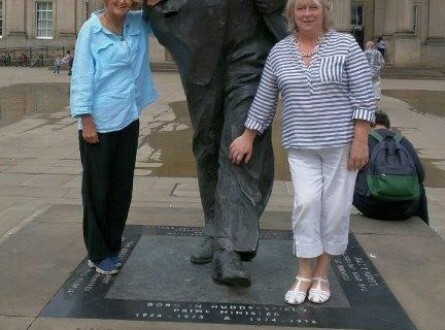 and was shown the sights of Birmingham by Nick and his wife Joanne. 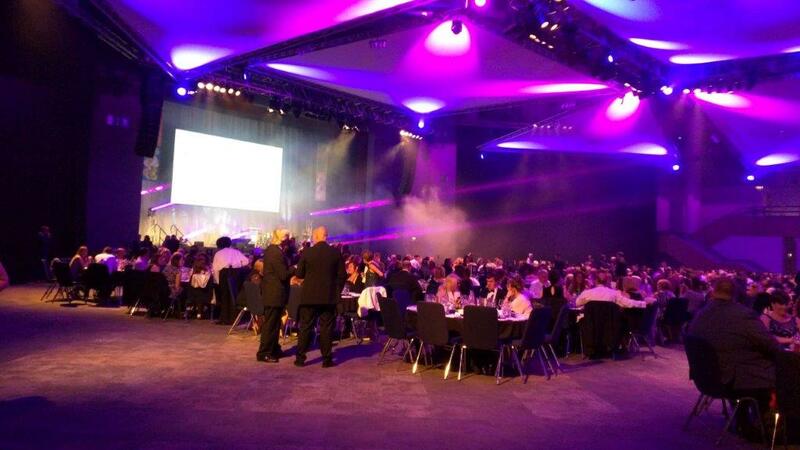 work carried out nationally and we were proud to be a part of it. 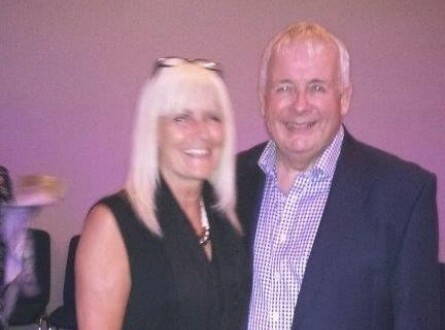 we at Bridgewood Trust are really proud of everything you do. 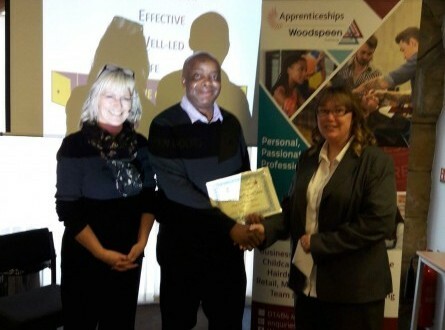 Well done to Mr Godfrey Makwembere for achieving the Apprentice of the month February 2018 from Woodspeen Training. 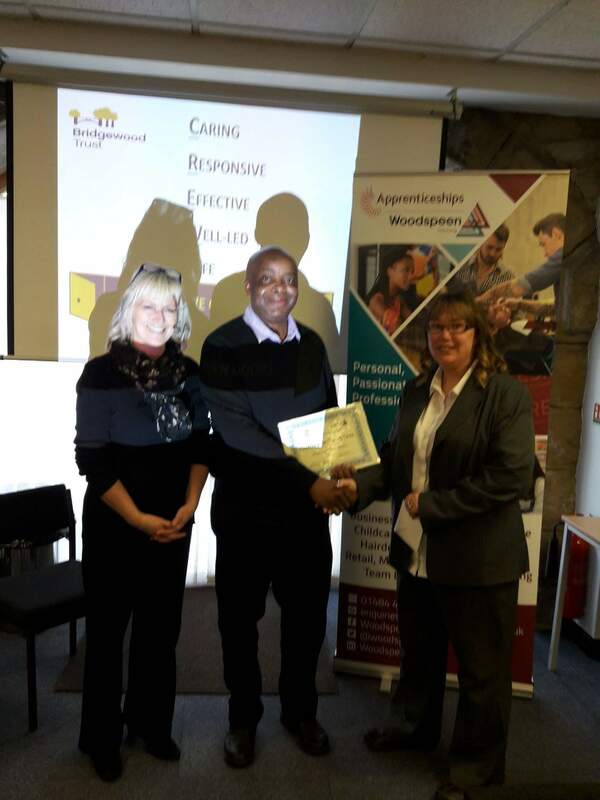 Godfrey has worked very hard and produced outstanding work for his level 3 diploma in Health & Social Care. He has also gained the position of Senior Support Officer at one of our services and I have no doubt that doing his diploma helped him understand the level of skills and knowledge required to fulfil this role. 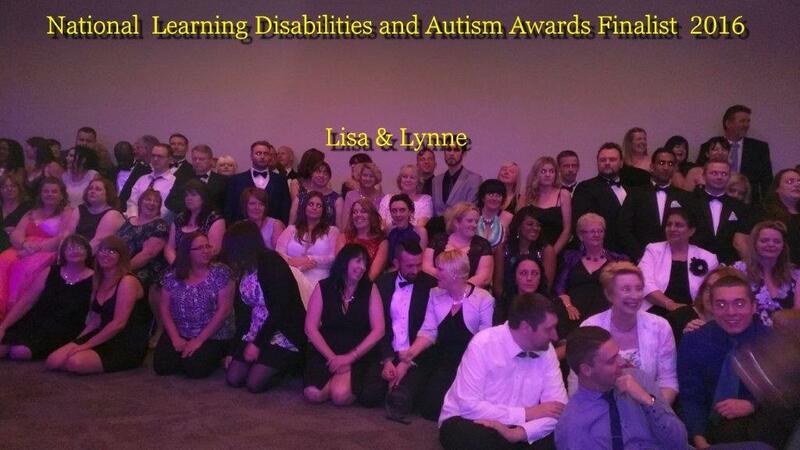 Bridgewood Trust is very proud to announce our success as finalists at the National Learning Disability and Autism Awards 2016. 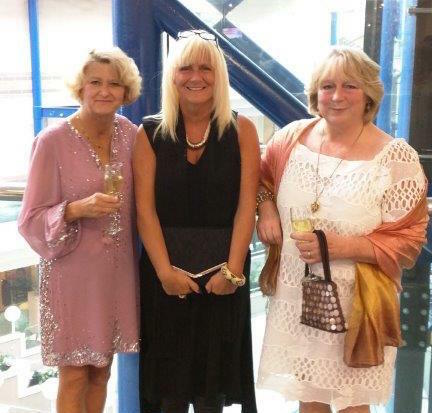 We attended the Gala event held in the ICC Birmingham after nominating two members of staff for the work they did with the Service Users Drama group around poor practice and abuse. This work is in the form of a training DVD and is used as part of our induction training for new staff. 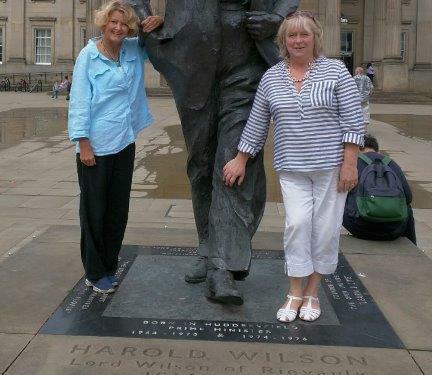 Once the annual nominations had been accepted, the staff attended an interview held in Birmingham by independent judges who had the very difficult task of shortlisting hundreds of accepted nominees. 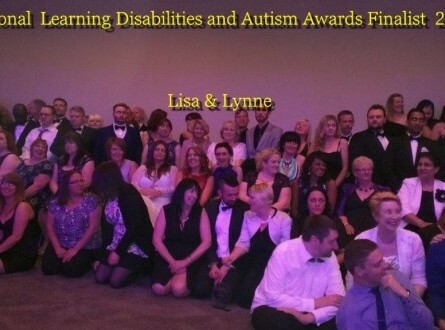 The staff were shortlisted to a group of around ten in the category ‘Making a Difference’. 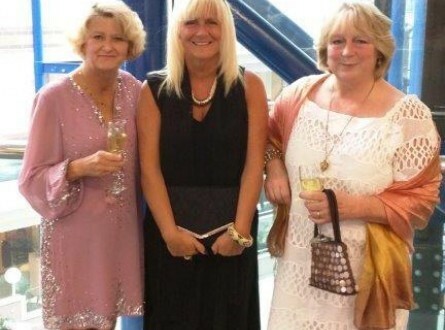 On 14th July we attended the Gala evening award ceremony at the ICC Birmingham. 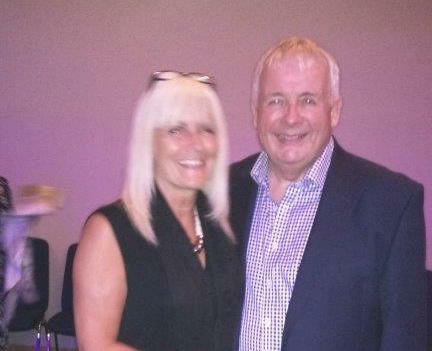 Both staff were very nervous and when the ‘Making a Difference’ category was announced by non-other than the lovely Mr Christopher Biggins I could feel the two staff holding their breath. 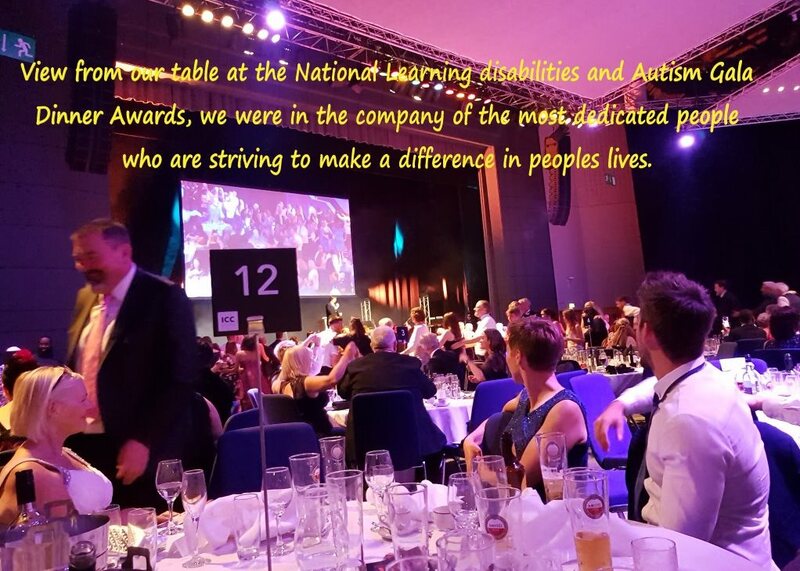 How lovely to see that they were in the final four and that all their hard work and dedication had been acknowledged by the National Learning Disabilities and Autism awards. 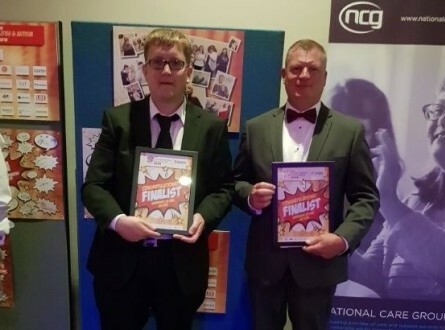 Runners up in this event was a fantastic achievement and reward for the two staff and all who work with Bridgewood Trust on a daily basis to ensure the people we support have fulfilling and meaningful lives. 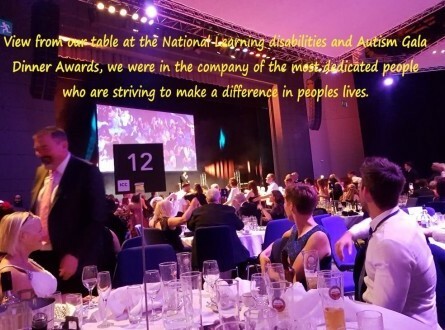 National Learning Disability and Autism Awards 2016.